With any family business, there will inevitably be some form of conflict among the family members. As a family business manager, you need to be prepared to resolve and minimize these differences when they crop up. Conflict resolution includes the standard approach of what steps you normally take to encourage people to work towards an agreeable solution. And an escalation procedure of the steps you will take when the members can’t resolve their differences. Conflicts can arise for a variety of reasons. 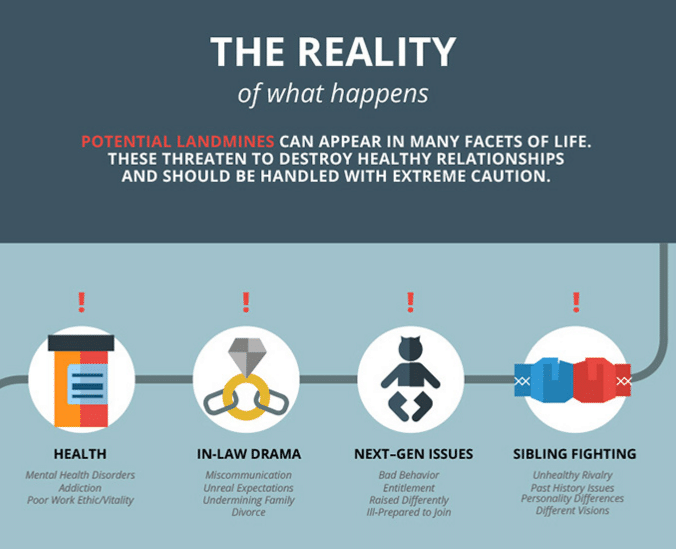 Professional or interpersonal conflicts of family members are common. Technical glitches or even administrative issues can also be a factor. The best way to minimize any negative conflicts is by stopping them before they happen. Encourage family members to learn these skills to prevent conflicts as much as possible. This ensures they feel invested in the business success and are responsible for meeting goals. It cultivates a sense of “ownership” of goals. Make sure you get any commitments and expectations from you and your family members down in writing. Verbally agreeing or communicating each person’s role it not enough. Put it all in writing so if there is any question later you can refer back to it. 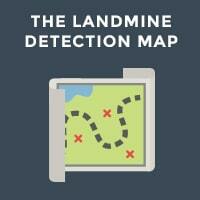 This will help you can identify and resolve any small conflicts before they become huge issues. This can include holding regular, scheduled status meetings with your family. You can get updates on the status of projects and avoid problems before they become problems. This is one purpose of family meetings. Practice active listening. This is a skill every member of the team should learn. As the family business manager you need to encourage family members to ask questions and clarify or paraphrase what they don’t understand. The family business manager should always be available to family members so they can express their issues in a timely way. 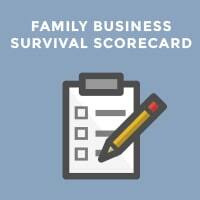 This can be especially difficult in a family business. It is important to separate the business relationship from the personal one. Family members should stick to facts and issues not each other’s personalities. Encourage different points of view and express views honestly. Be sure all team members focus on actionable solutions when they do have conflicts. As the family business manager or patriarch/matriarch, you need to be proactive and forward thinking so you can anticipate possible problems before they arise. 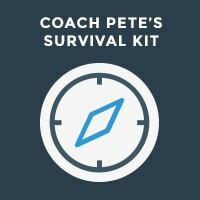 Ensure all team members focus on actionable solutions when they do have conflicts. As the family business manager or patriarch/matriarch, you need to be proactive and forward thinking so you can anticipate possible problems before they arise. Look at body language, tone of voice and the demeanor of everyone involved. Acknowledge the issue and their concerns by saying something like “I understand you’re angry.” It doesn’t necessarily mean you agree with them. Then take proactive action. Make it clear the ultimate goal is a successful business. 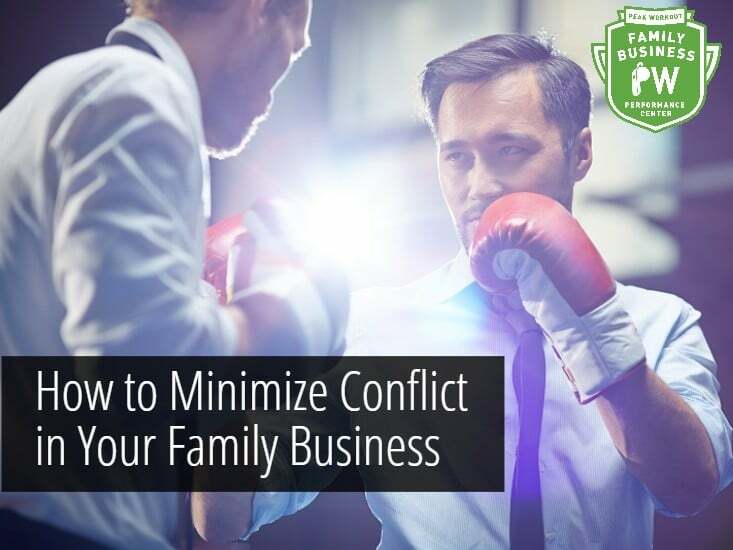 As the family business leader, you need to be prepared for conflicts to happen at any time. Every business has some form of conflict among their employees. The main thing is to take steps to minimize as much as you can before it happens.